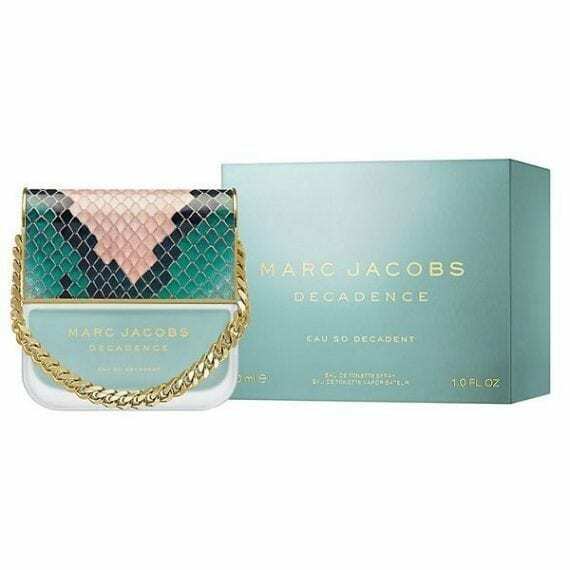 Marc Jacobs Decadence Eau So Decadent Eau de Toilette. This fruity, floral perfume is reministant of the original Decadence but fresher and more wearable for daytime or softer evening wear. 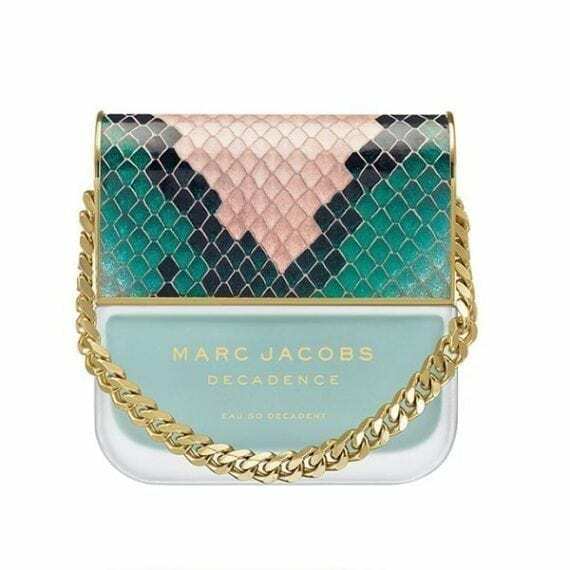 This long-lasting new perfume is the latest addition in the Marc Jacobs Decadence range. Notes include pear, blackcurrant, ivy, lily of the valley, magnolia, jasmine with a base of cashemere wood, raspberry and white amber. The bottle designs are inspired by Marc Jacobs iconic handbags and are a flawless union between fragrance and fashion. In this Eau So Decadent edition, the perfectly arched snakeskin cap features a splash of blush pink and touches of teal creating a sensual contrast between light and dark. This is a gorgeous fresh floral fragrance. So much lighter than the original Decadence, which I also love. Beautiful for spring and summer or if you prefer a ligher fragrance in general. It comes in the unique handbag design bottle with a frosted finish glass. It completes my collection nicely! I love the original Decadence so i was really looking forward for this. A lot lighter than the original so perfect for an everyday fragrance.